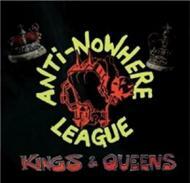 - Deluxe bonus track reissue of the 2007 album from raucous UK rabble rousers, Anti-Nowhere League! - Includes two bonus tracks as well as all new artwork! - Keep an eye out for a brand new ANL album coming in 2016!